New Directions Publishing Corporation, 9780811216838, 144pp. For Wallace Stevens, "Poetry is the scholar's art." Susan Howe--taking the poet-scholar-critics Charles Olson, H.D., and William Carlos Williams (among others) as her guides--embodies that art in her 1985 My Emily Dickinson (winner of the Before Columbus Foundation Book Award). Howe shows ways in which earlier scholarship had shortened Dickinson's intellectual reach by ignoring the use to which she put her wide reading. 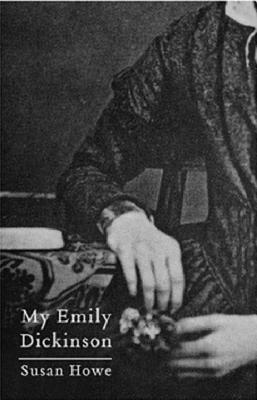 Giving close attention to the well-known poem, "My Life had stood--a Loaded Gun," Howe tracks Dickens, Browning, Emily Bront , Shakespeare, and Spenser, as well as local Connecticut River Valley histories, Puritan sermons, captivity narratives, and the popular culture of the day. "Dickinson's life was language and a lexicon her landscape. Forcing, abbreviating, pushing, padding, subtracting, riddling, interrogating, re-writing, she pulled text from text...."